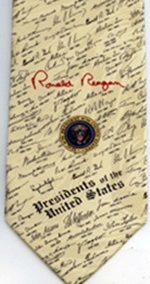 American History Neckties from colonial explorers to the Declaration of Independance and the Constitution creating presidents, flags, civil war battles and two world wars to Barack O'Bama. There is a page for Classical Civilizations Neckties and another for the Eastern Hemisphere Civilizations. 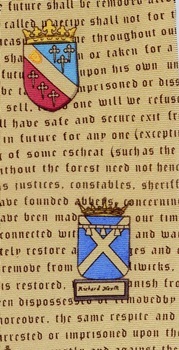 For more neckties depicting knights and heraldry see the Celtic Civilizations page. You will also find ties for the early history of other cultures there. There is a page for Native American Neckties for the earliest cultures in the North and South American Continents. Ben Franklin is pictured on currency on the Financial Necktie page along with many other founding fathers.. Check out more Flag Neckties and Statue of Liberty neckties . 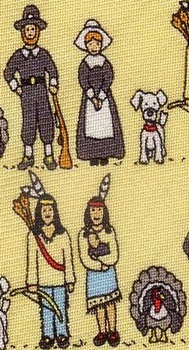 Check out more ties for western expansion from the point of view of the Cowboys and the Native Americans. Iron Horses Men of Steel - Winchester VA June 1861 Colonel Thomas Jackson supervised the greatest overland movement of locomotives and railroad equipment done in the civil war. Citizens started in wonder as horse teams pulled their heavy loads thru the streets. Check out more Eagle Neckties. 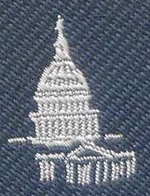 Check out more Political Neckties. Check out more Peace Dove Neckties. For more tea cups see the Beverages Necktie page. check out Rush Limbauaugh's No Boundaries Necktie Collection. Maps of the Americas, and Transportation pages. Check out some great History T-shirts pairing monuments like The Lincoln Memorial, The Statue of Liberty and Mt Rushmore with texts like the Bill of Rights and The Constitution.